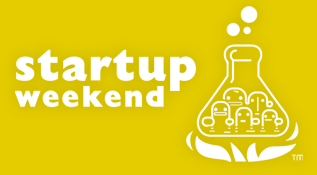 Over the years, we’ve covered a number of startups, or rather projects, that were born out of the so-called Startup Weekends. Basically, these are regional community events where developers, designers and business people come together on a given weekend, decide to pursue the creation of one or more fresh web application(s) or service(s) and subsequently cook them up in a very brief period of time (usually 54 hours). Founded in 2007 by Andrew Hyde from TechStars, the concept quickly caught on and has since been held in many U.S. cities as well as many other countries across the globe. But what happens to all these projects after they’ve launched? Do any of them actually take off or do most die a silent death? Are they usually left for what they were after the weekend or does development on the services and applications continue? Those are the questions German bloggers Alexander Graf and Florian Hermsdorf set out to answer, and they’ve come up with a pretty eye-opening analysis based on their quick-and-dirty research. Alexander and Florian took a look at all the projects that were launched at startup weekends, most in the U.S., and kept track of the ones that are still active, idle, explicitly closed or downright offline. The ‘idle’ status came in three degrees, depending on if there have been no notable new developments on the project for the last 3, 6 or more months. The stats will be updated every 3 months. The results so far: only 12 out of the 116 startups (approximately 10 percent) launched after Startup Weekends held from July 2007 to April 2009 can still be considered active, and 35 out of the bunch (approx. 30 percent) are currently offline. Most of the projects carry the ‘idle’ status, which means there have been no visible changes to the service for a certain period of time. This does not necessarily mean that Startup Weekends as a concept fails, because I imagine some if not most of the people involved already have a regular job or their own startup and jump in it for the connections they make at the event or simply for the thrill of making something that works in a short period of time. That said, dreamers who thought this would ultimately prove one of the better ways to launch successful startups are now presented with proof that building companies generally takes much more than a fun weekend of work among peers, particularly in this economic climate.